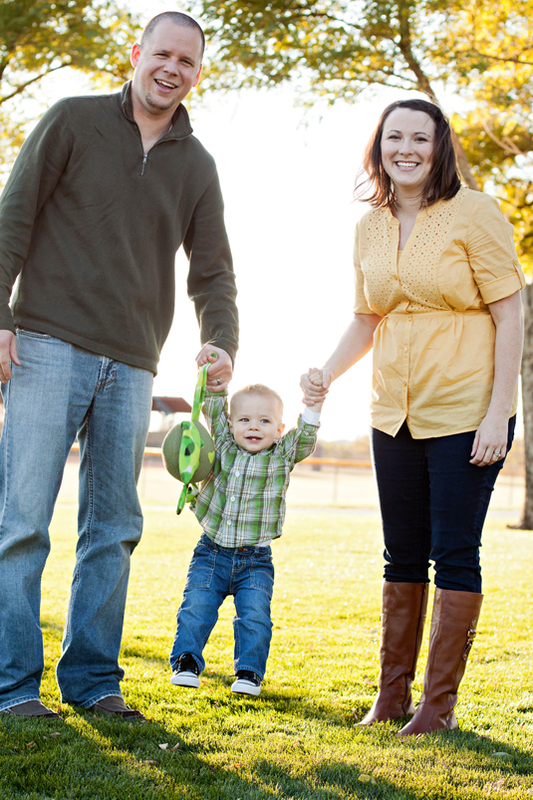 Shannon and Mark’s Crazy Awesome Family Photo Session! And the winner of the Radiant Photography Sportsmanship award… Mark and Shannon Smith (studio audience cheering sounds)!!! Actually, who are we kidding, Shannon, you did great but we all know Mark REALLY deserves this award! I mean seriously, being married to a very creative wedding planner can’t be easy, especially when it comes time for family photo time! You should hear some of the crazy things Mark has done to satisfy some of Shannon’s creative whims! He says he has a line, but since he’s such a great guy, I’m guessing that line’s a pretty soft one. I mean, I at least know he’s willing to set up and tear down an entire bed 3 separate times for one photo shoot and that he can do it all with a smile on his face! Oh yes, I did say THREE times, that’s actually the exact reason I considered giving this award as a tie to Shannon as well… because she too had quite a great attitude throughout the shenanigans that defined this shoot! Let me tell it to you from the beginning. We were in search of a field. With one tree. And green grass. Oh, and we happen to be in the desert. Needless to say, finding this particular looking location was not the easiest task in the world. Add to that the fact that we needed to have the ability to set up a full metal frame bed in this particular location, and we had quite a challenge on our hands! We did finally find a place, and it happened to be about an hour and a half outside of town… make that 2 hours- 2 STRESSFUL hours- when you are driving with a giant bed and mattress flopping in the wind as you head down a 65 mph road going only 40 mph, hoping the entire time that your mother-in-law’s mattress isn’t going to start growing mold as the rain pours down on you. This is how Mark’s morning started out. Mhmm, I told you he deserves this award, but wait, I’m not done yet. So the rain wasn’t looking too good, the wet mattress wasn’t looking too good, and Mark’s face wasn’t looking too good… it was at this point that Shannon decided we should all turn around and head back into town in hopes of finding another location for this shoot. As we pulled in and faced an entirely empty vast space of dirt… with a few brown desert plants scattered here and there. Shannon’s face fell as she saw her dreams of a grassy dreamland blowing away with the dust around us. However, she remained in good spirits in spite of it all… and Mark was back to his normal chill self by the time we reached the straight up dirt lot. Luckily, the irony of the ending up in the EXACT opposite location from what Shannon dreamed about just struck us all as funny at the exact same time. It was at this point (as Shannon was actually laughing about her misfortune) that I turned to her and told her how impressed I was with her. Seriously, when your entire job and skill set revolves around planning hundreds of details and enabling them to all align JUST right… it’s not the easiest thing in the world to let go of when things DON’T go right… especially when it’s your own event that you planned! But there she was, letting it roll right off her back and adjusting her vision of the shoot, while just laughing and throwing her hands up in the air. This dirt space was on the Indian Reservation. And (as we soon found out), they don’t take too kindly to you setting up a bed on their land. Just as the bed was all put together and we were ready to start putting the sheets on and get their kids out of the car, a tribal police car pulled up. Let’s just say, she wasn’t in the best mood and her shift had already ended. 1. Pack up and go right now. 2. She could tow our trucks AND our bed (I’m not sure how exactly she planned on pulling that off). 3. She could site us with a $10,000 ticket (no exaggeration, that was seriously the amount). Hmm… let me think about this for a second….Yeah, it was a unanimous decision… we packed up quickly. Sooo… now we had a bed in the truck, a couple of tired guys, two kids who were being unbelievably patient thus far but probably couldn’t make it much longer, a quickly setting sun, and a group of very discouraged people. Now what?! Luckily, Shannon got on the phone and started pulling her wedding planner card with a few of her connections. And within 10 minutes, she had us a place! A BEEEEAUUUTIFUL place, nonetheless (seriously, call Sassy Soirees if you want things to really get done for your wedding!!)! We were going to an actual fancy golf course, I couldn’t BELIEVE they were going to let us set up an entire bed there! It was a miracle! There’s no way we would’ve thought they’d say yes, or else we would’ve called them from the beginning! So we showed up at the wonderful, beautiful, safe haven of even green lawns at Ocotillo Golf Resort. Ahh… a sigh of relief. Just knowing we were actually given permission to be there felt good… let alone that the lighting was perfect, the scenery was stunning, and the cooped up little boys had plenty of space to run around in (as long as all the grown ups served as a human shield between them and the lake). Yes, we’d finally found our spot… and it couldn’t have been better! Shannon really had set up an amazing plan for this. She’d ordered a large sized version of a Peter Pan book, bought the boys adorable matching pajamas, and even grabbed some real feather pillows for a very messy pillow fight! It was beautiful and so so SO adorable to watch this family together in action. I grew up with 2 brothers, so I know boys and I know how they run. But oh WOW do these boys run FAST!!! And in exactly opposite directions nonetheless. Often, the younger child sticks like glue to the older sibling, but not in this case! This little one had his own places to go and things to do… and Shannon or Mark (whoever wasn’t after the other one) was off and running at full adult speed to catch them!All of them laughing and having fun together the entire time! (See, getting caught isn’t always such a bad thing!). …Mark, doing fast manual labor several times in a row while being responsible for keeping his family safe during a slightly scary trip, and still smiling and laughing by the end… Shannon, watching something she’d put so much time and attention into falling apart before her eyes, while still taking the time to remember what’s actually really important in this situation… having fun with her family and creating great memories with them. Good job, Shannon and Mark, I seriously am so impressed with the attitude you both had about this session! Scottie and I agreed that even though we already really liked the two of you…. we now like you that much more after seeing how amazing you both handle things not going your way in life and bad days. Not everyone can laugh about life the way you can and we were both thoroughly impressed. The first thing I said when I got in the car after giving up on our first location was how amazed I was that Shannon was handling this so well. And the first thing Scottie said after we finished the shoot was, “that Mark is a really amazing man”. So if it’s not true that you guys are fantastic, you have us fooled really well! Good job guys, you all win the award and we’re so proud of you. 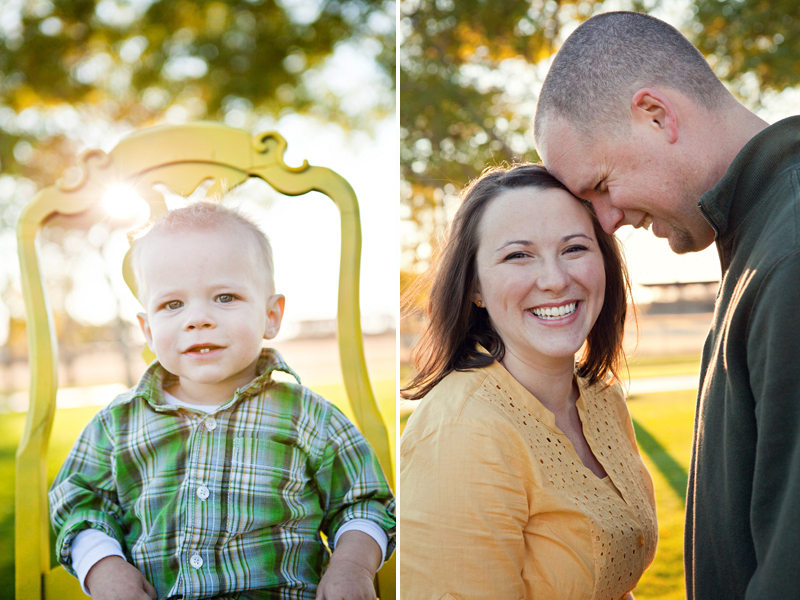 Click to see the rest of the photos from Shannon and Mark’s Crazy Awesome family photo session! The Work Family and their hilarious world. Ah the Work family… how could you not love them?! They are one of the most hilarious, loveable bunches ever! 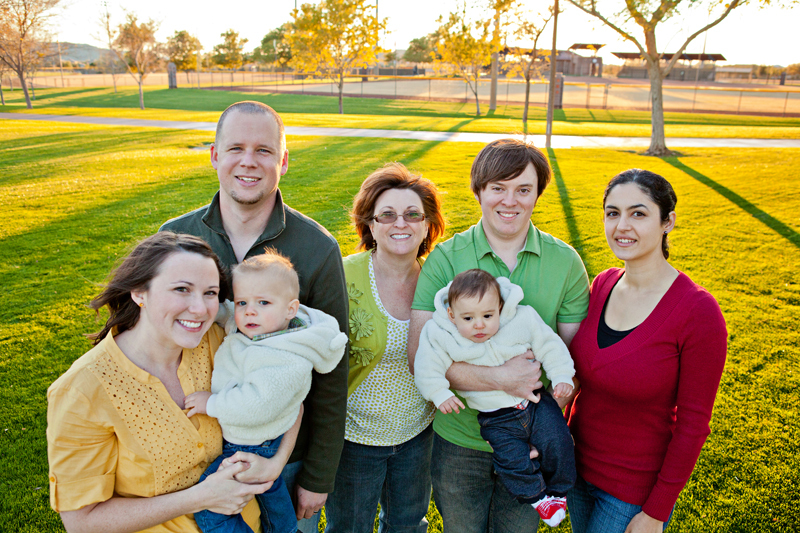 We had the opportunity to get to know this family last year when we did Ted’s senior photos. So we know from past experience that as soon as this family comes together, they turn into a hilarious goofball comedy team that makes doing anything but laughing (including taking pictures) practically impossible! Seriously, this family is so much fun to be around that when they called us to do a family session in their backyard, we couldn’t wait! Luckily, it stopped raining just in time for us to run out and grab some shots of the stunning scenery that makes up the beautiful view they wake up to everyday. Not only did we have a gorgeous landscape to work with and really fun people but we had their AWESOME cats too! I’m pretty sure this was the first time I’ve ever touched a hairless cat before and it was definitely the first time I’ve ever taken pictures of one… let alone two! To my pleasant surprise, their lack of hair makes all their other features stand out that much more… their eyes specifically! So take the Work family’s fun personalities, their grand backyard view, their fantastic modern style and decor (which I have to mention because I really loved what they’d done with the place), and their unique little pets… and you have the recipe for an exceptionally wonderful family shoot. Thanks to the Work family for bringing us into your fun little world, we were thrilled with it! We hope you love the way we captured it all and told the story of your family. Click to see the rest of the Work Family Photos! Ashley and Mark introduce us to the brand new little Wyatt. When Ashley and Mark (a past bride and groom of ours who’s wedding was over 4 years ago) called us to do newborn photos for their brand new little one, we were super excited! And when we found out that they had just been waiting for a good excuse to call us again, we were even more stoked! Lucky for them, we’ve been studying up and practicing our baby photographer ninja skills… so we were ready and waiting to go by the time they called us! (A decal on the wall in the baby room… awesome!). So we packed our gear, which included things that we’re still trying to get used to being a part of our equipment like a bean bag, blankets, and a soundtrack called “sounds of the womb” and headed over to meet little Wyatt. He was only 6 days old (the ideal time to do a newborn session by the way… she called us when she was still pregnant so we could block off time around her due date) and he already looked like such a perfect little man! Little did we know he was actually a perfect little angel as well! This baby just chilled and let us do our thing for several hours! He didn’t complain… or even poop on our cute little blankets… even once! OK, maybe he complained once… but you try sitting completely still while a stranger twists and turns your head and gets way past the line where your personal space bubble stops. He did amazing with it all and his patience with us seemed endless. It was like he knew that his mom and dad are new at this so he was like, “don’t worry guys, I’ll go easy on you with this one”. So thanks Wyatt, for letting us do our thing (even if it wasn’t always your FAVORITE thing), your mom and dad are already very proud of you! (Mark and Ashley are from Canada, so needless to say, hockey is going to be a big part of little Wyatt’s life). (This is Wyatt in the amazing bassinet his grandpa made for him!). Thanks guys, we can’t to see what little Wyatt grows up to be like! Congratulations! Click to see the rest of the photos from this adorable little guy’s session!